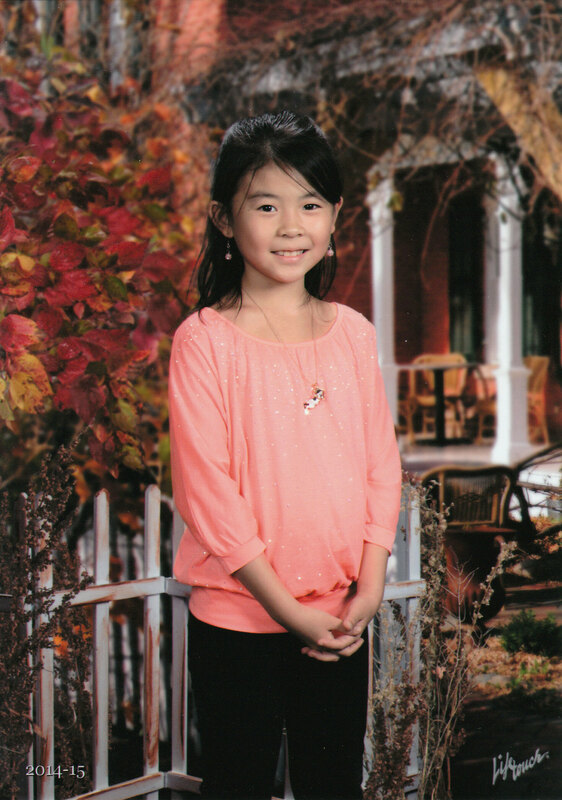 Erin attended fourth grade at Monmouth Junction Elementary School in New Jersey this past school year. Her art “Autumn River” was selected as a Top Ten Winner in our Fall 2014 national art contest. Art has always been one of Erin’s hobbies and she has always enjoyed putting her ideas on paper. “Two years ago, I started taking art classes at Sharron Art Center.” Erin explained, “My drawing techniques got better from there and continued to improve from the help of my teacher, Sarah Ong.” Erin’s winning art was inspired by her love for nature. In the summer, her family loves to visit Bushkill Falls in Pennsylvania, and she always enjoys the sight of the waterfall crossing by through the streams. Erin’s goals for the future are to become a successful author and a graphic designer. To learn more about our national art contests, visit www.celebratingart.com .